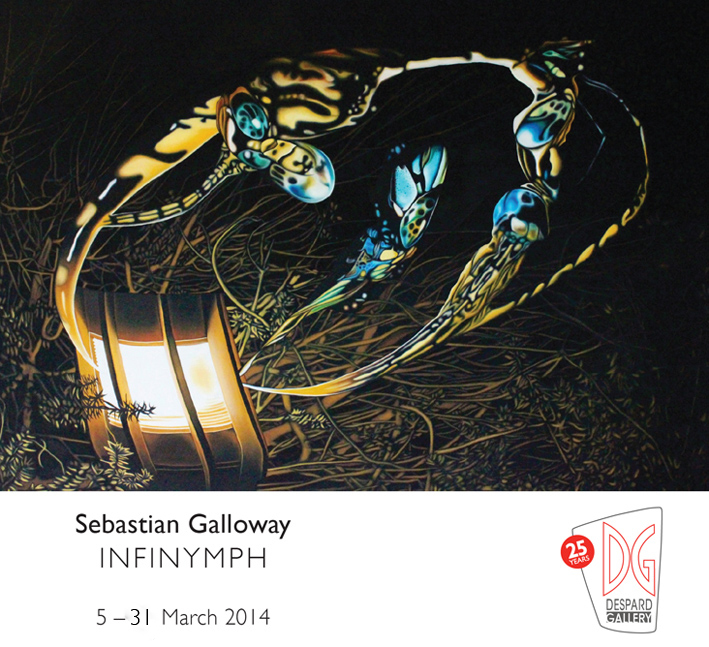 INFINYMPH is Sebastian Galloway’s debut solo exhibition with a tour de force of paintings that delve into the mythical microscopic nature of things rendered on a scale that inverts his subject into spectacle. Microscopic interactions are blown up and left to float eerily upon the surface of the canvas. Please join Sebastian and friends at the exhibition’s opening night, Wednesday March 5th from 6pm at Despard Gallery.